The SHCTR team works with the Mendocino County Sheriff’s Office on the details for recovering the body. The Mendocino County Sheriff’s Office is looking into whether the body found earlier this week by a wildlife photographer in the Eel River is that of a Santa Rosa man who was last seen heading home after a trip to Eureka in November. A release states that the missing man’s family contacted the MCSO after hearing reports of the recovery. His vehicle was later located near Confusion Hill, which is about 6 miles upriver from where the body was located and he matches the general description of the body that as found. Read previous Journal coverage of the discovery of the body and the recovery efforts here and here. No cause of death has been determined and an autopsy is scheduled for Dec. 11, according to the MCSO. On 12/5/2018 at approximately 12:39 PM the Mendocino County Sheriff's Office received a call related to found human remains in the South Fork of the Eel River, just south of the Humboldt/Mendocino County line in Piercy CA. The body was first observed by a wildlife photographer around 9:00 AM but the photographer did not recognize it as human remains at first, thinking it might have been a deceased animal. The photographer later examined the photographs and showed them to a friend where they decided to contacted a member of the Southern Humboldt Technical Rescue Team (SHTRT) about their concern. 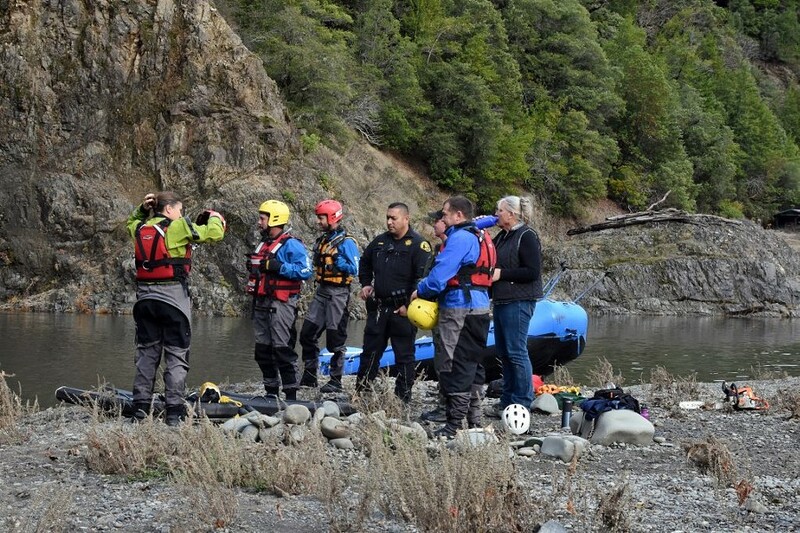 SHTRT notified the Mendocino County Sheriff's Office and then responded to the location with a swift water team to assist in confirming if there was a human body and if so, to assist in body recovery. The SHTRT entered the river with a raft and navigated to a closer vantage point where it was confirmed to be a human body entangled in branches of a downed tree laying partially in the water of the Eel River. The SHTRT was able to free the body from the tree branches and then navigate back to the shoreline. The body appeared to be that of a white male adult, over 6 feet tall, with a heavy build. The decedent appeared to have been in the water for a week or more and did not have any identification on him. On 12/6/2018 the Mendocino County Sheriff's Office was contacted by a family member of a missing adult male from Santa Rosa CA. The family member advised they heard of the story on a local news outlet. This family member indicated her brother had visited her in Eureka and was last seen leaving to go back to his home in Santa Rosa. This was in mid-November and her brother had not been seen or heard from since then. The Santa Rosa Police Department does have an active missing persons investigation on the caller's brother. The missing person matches the description of the male who was recovered. The missing persons vehicle was later located near Confusion Hill, approximately 6 miles upstream from where the body was located. The cause of death is not yet known and an autopsy is scheduled for Tuesday 12/11/2018. No further information will be released about the recovered body or the missing person's identify until the remains are positively identified.